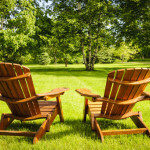 Want to make the gardener in your life happy? 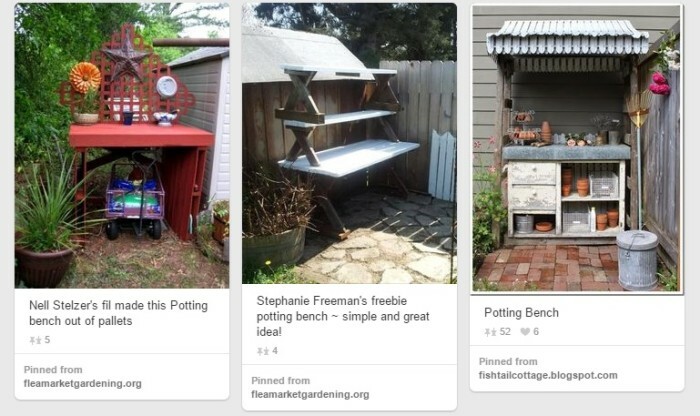 Build them a potting bench as this is a gardener’s best friend. It gives them ample space for working with pots, transplanting, seed sowing and cuttings. 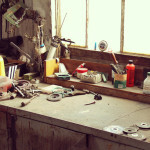 And it also gives them a place to store their trusty gardening tools. What is more, building one isn’t as complicated as it sounds. No matter whether you’re just getting started or an experienced carpenter, one of the plans below are sure to fit your needs and skill level. The best part? Most of these benches can be built in a weekend. 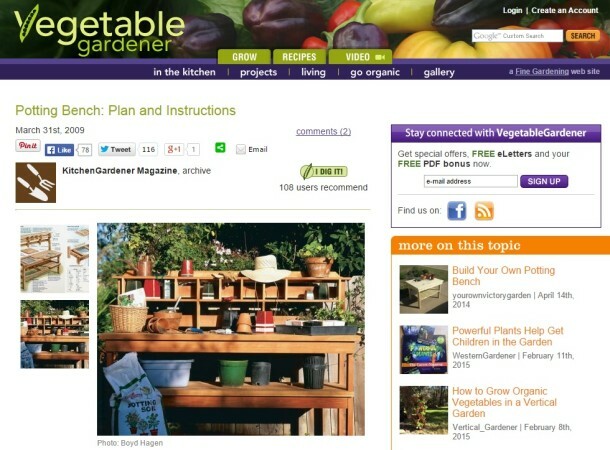 Originally published in December 1997, the Vegetable Gardener shares plans for a simple but elegant model. It was originally created for a client of a carpenter, but he stresses that this model is easy to build. 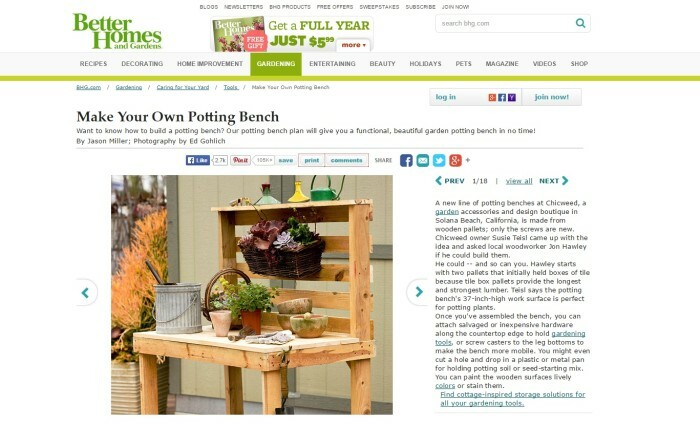 For gardeners who love to stay organized, this is the perfect bench for you. It has five shelves above the tabletop surface to hold your favorite gardening tools. Three additional little nooks under the shelves give you space to store some small pots. What we really like about this one is the hardware cloth. 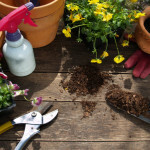 When potting, it allows excess soil to fall through into a bin on the shelf underneath the work surface. Keep in mind: In total, this version is 6ft. long, 2ft. deep and 32in. The original bench was built with redwood, but you could easily use cedar. Pine or fir may also be used, but these woods will need to be stained or painted to protect the wood. Looking for a simple way to build this practical piece of furniture? Start with pallets. You’ll need two for this project, and you’ll want to choose pallets that held boxes of tile. Why? Because these pallets use the longest and the strongest lumber. Assembling this bench is easy. In fact, you could probably create it in an afternoon. And if you’re lucky, you can get the pallets for free. This is a relatively simple model that stands 37 inches tall. Keep in mind: It doesn’t have hardware cloth like the first plan on this list, but it does provide a generous sized work space. Plus, you can attach hardware along the sides of the worktop to hang your gardening tools. To finish, stain or paint it! 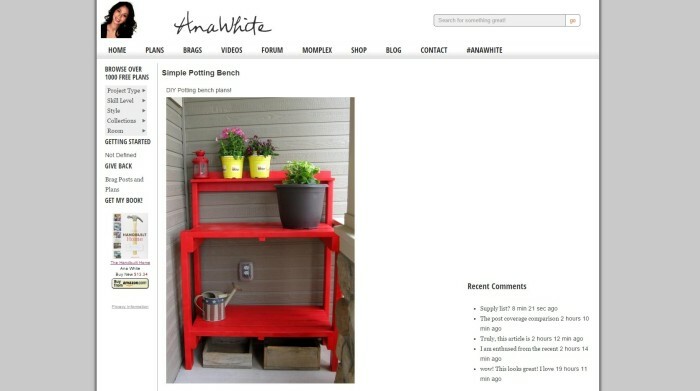 Ana White’s version is easy enough for even inexperienced carpenters! It is 50.5” tall, 40.5” wide and 20 1/4” deep. The work surface is counter height, so it’s perfect for potting plants. 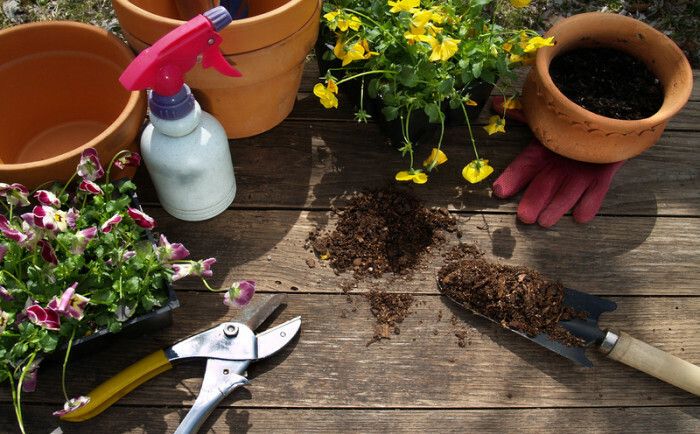 A top shelf can be used to store your pots or gardening tools. 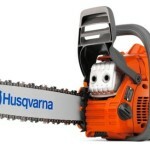 Keep in mind: The plans come with detailed instructions on other tools and materials you’ll need as well as instructions on how to properly assemble it. 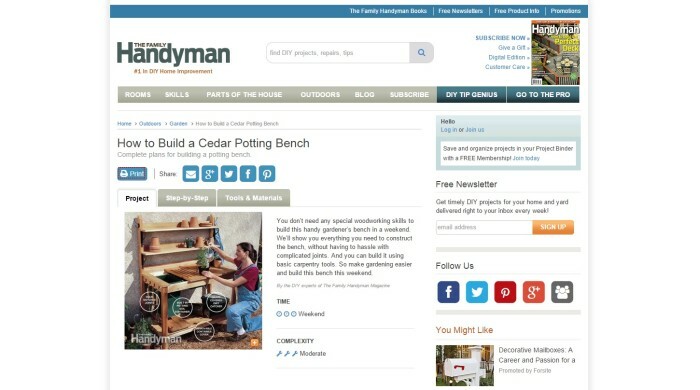 Cedar is an excellent material for a potting bench, and these plans couldn’t be easier. The Family Handyman says you won’t need special woodworking skills to build this one, and you can assemble it using simple carpentry tools. 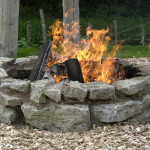 The great thing about it is that it’s strong and sturdy – without complicated joints. 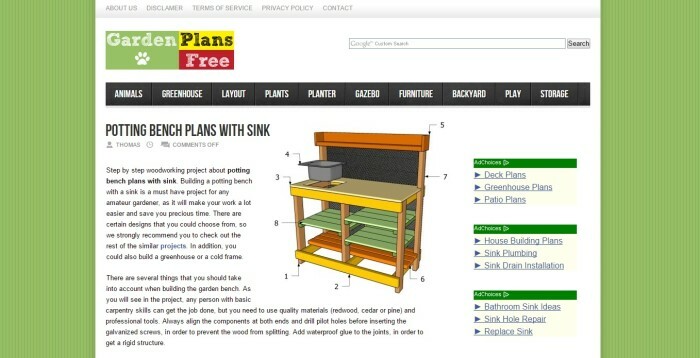 A grated work surface allows soil to fall down into bins on a shelf below the worktop (similar to the first plan on this list). 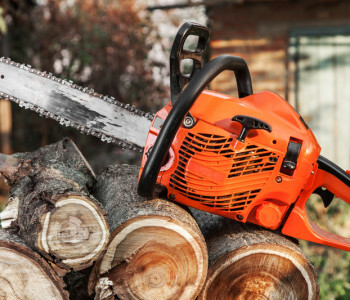 You’ll need a table saw for this project, so if you don’t have one, you might want to ask a neighbor or someone at the lumberyard to cut the wood and the kerfs for you. Keep in mind: If you’re an experienced carpenter, you could probably finish this project in a day. But if you’re a beginner, it might take two or three days to complete. 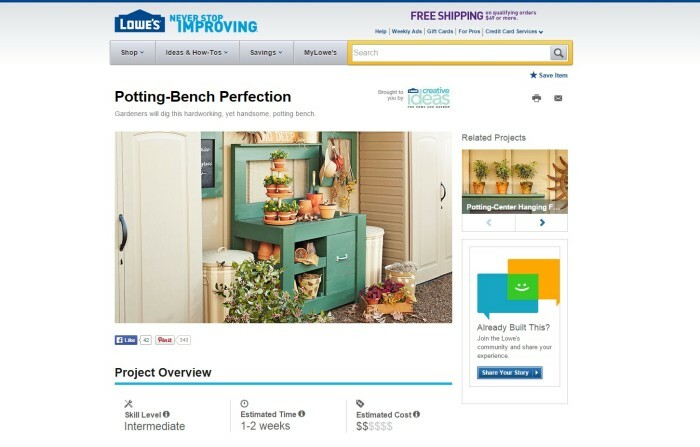 This intermediate-level design by Lowe’s functions just as well as it looks. 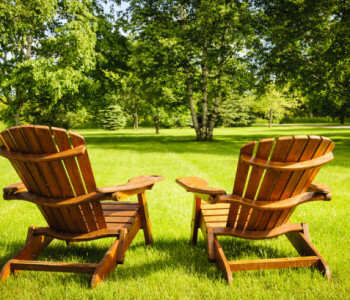 Unlike the other plans on our list, this bench will take you some time to construct. Lowe’s estimated time is 1-2 weeks. While this one is a bit more complex, the end result is well worth the effort. It features a grated work surface on the right that sits just above a cabinet door. Inside, you can place a bin to catch excess soil. A top shelf allows for storage of pots, tools or even decorative items. Underneath the work surface are two shelves on the left side of the bench. These are accessible both in the front and on the side for convenience. The top assembly features mesh hardware cloth. Keep in mind: Lowe’s provides very detailed instructions as well as a video on how to build and assemble this bench. This backyard center can be built by intermediate carpenters in a weekend. It’s sturdy, but it looks good too. The top piece features hardware cloth, which is perfect for hanging gardening tools. 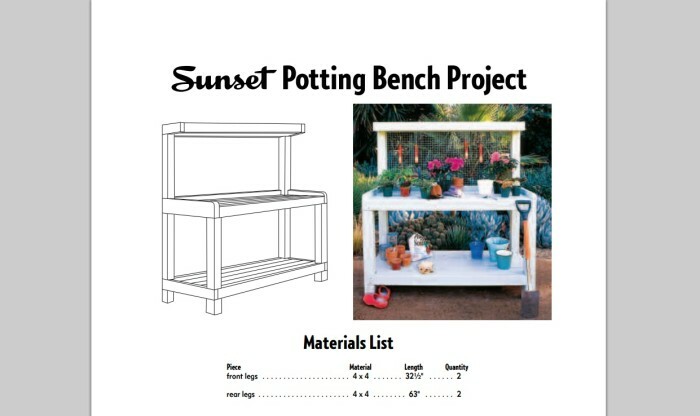 The 5-foot long bench also features a sturdy bottom shelf that can be used to store pots, supplies, tools and soil. To make this construction extra-durable, 4x4s are just for the legs. Dado joints cut into the legs help hold the horizontal 2-by boards in place. If you love the look of wood and want your bench to weather naturally, cedar or redwood are excellent choices! Otherwise, pine or fir will work wonderfully if you plan on staining or painting it. Keep in mind: These instructions are thorough and come with a complete materials list to make shopping quick and simple. Want a potting bench with a sink? These are the plans for you. According to this website, this is a model you can build in a single day. Its work surface is about 35” high, which is ideal for working with pots and other gardening activities. What is more, it offers lots of storage space too with a top shelf, three shelves underneath the right side of worktop and two underneath the left side. Of course, the sink is a nice additional bonus. Keep in mind: This a relatively simple bench to build, but you’ll need to make sure that you’re precise when cutting the sink hole. 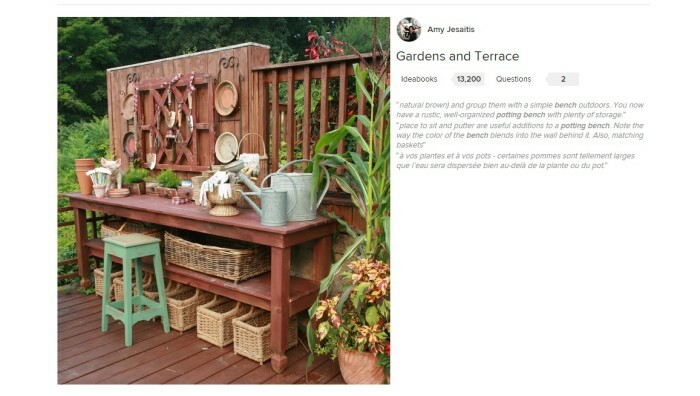 This board on Pinterest is filled with unique ideas, tips, tutorials and so much more. From upcycled doors and shelves to ornate custom benches, you’ll find ideas here for every skill level, design taste and budget. Looking for a more professional design? Houzz is the perfect place to start. From simple rustic models to ornate potting benches built by professional carpenters, you’ll find your dream version here. This website will definitely leave you feeling inspired, but you’re unlikely to find any actual plans here. Keep in mind: Once you find a design you love, you’ll need to take the time to build it yourself!